No it’s not a watercraft with really big wheels, it’s the latest event in triathlon circles to be added to the ITU Word Championships. Essentially it’s the same as the long course, just without the run. It’s the Swim then through transition 1 and onto the bike and finishing off when the athlete passes into transition 2. Maybe you are suffering from an injury that requires non-impact activity, maybe you just don’t like to run or maybe you have another event on the horizon and don’t want to wear yourself out. 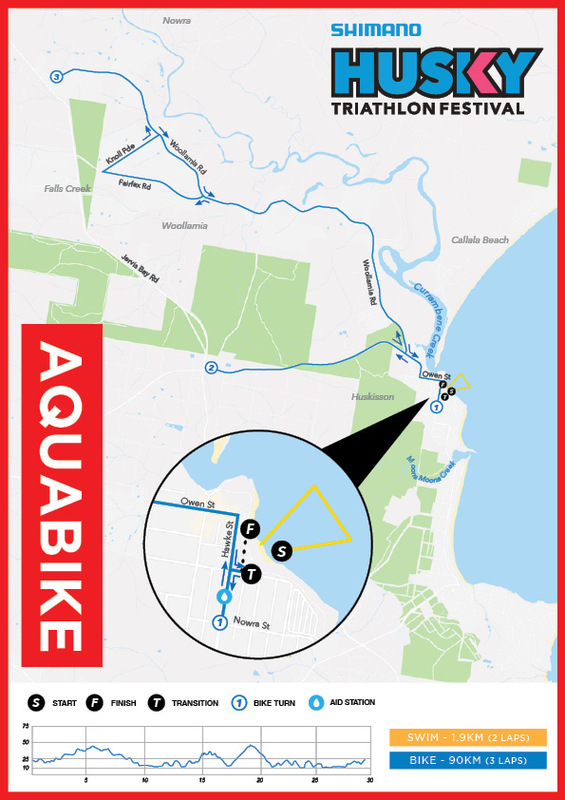 With the addition of Aquabike to Husky Long Course you can now be part of the action. Aquabike is included in the program of a Long Distance Triathlon event with same swim and bike distances. For Husky, the Aquabike is a 1900-meter swim and is followed by 90 km bike, mirroring the distance of the Long Distance Triathlon event in which the aquabike is included. Aquabike is ruled by the same rules that the Long-Distance Triathlon event in which is included.